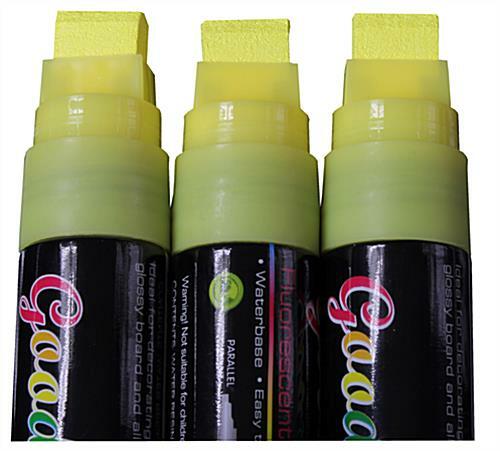 Bright yellow liquid chalk flows evenly and dries quickly for an eye-catching presentation. 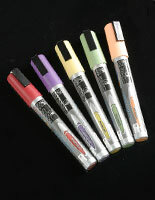 Chalk board markers are sold in sets of (3) for convenience. Wet erase ink washes clean with a damp cloth for ease of use. 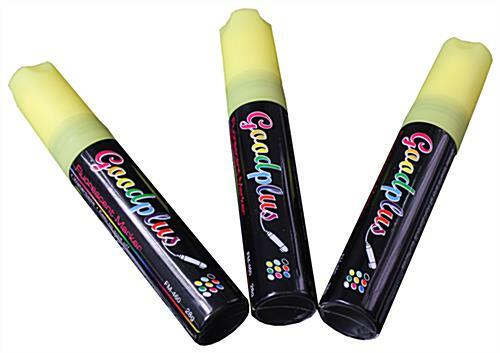 These chalk board markers are fluorescent yellow. The bright color is very eye catching especially on a glossy black surface. 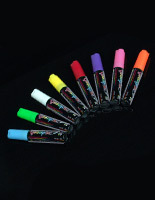 These liquid pens are chalk board markers that are great for businesses, such as restaurants, retail stores, and more. Each wet erase pen can be used on any non-porous surface, such as glass, windows, glossy boards, and more. 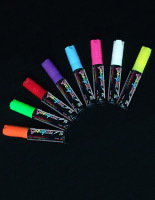 These bright sticks are chalk board markers that are easy to clean with just a damp cloth. Customers can update the advertisements with these pens as often or as little as needed. 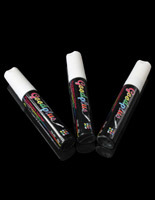 These wet erase chalkboard pens are a (3) pack of yellow chalk board markers that enable businesses to create eye-popping, hand written advertisements. Consumers do not have to worry about running out of ink because they will have a spare pen, due to the fact (3) markers are included with purchase. These chalk board markers, called wet erase writing utensils, will dry quickly so users do not need to worry about the messages running and becoming sloppy looking. This yellow liquid pen has a 5/8" tip for bold writing. The wide point on these chalk board markers allows for large eye-catching messages. Businesses love the neon yellow color for drawing in potential customers. 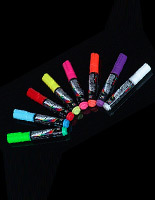 These wet erase pens are chalk board markers that are nontoxic. These fluorescent pens are far more effective at capturing the attention of potential customers than traditional stick chalk. These chalk board markers are affordable. 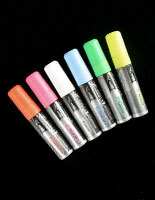 These wet erase pens are also very popular with LED write-on signs. When the liquid chalk ink is on an illuminated surface, it looks like it is glowing to really stand out. Buy these liquid pens now from this trusted supplier.